Your Old 401(k) Take it or Leave It? You are here: Home / 401(k) / Your Old 401(k) Take it or Leave It? One the decisions that you face when leaving a job is what to do with your 401(k) or other retirement plan balance. A recent study by the Government Accountability Office (the GAO) indicated that some financial services firms might be misleading workers into rolling their account balances into an IRA account versus other, potentially more beneficial alternatives. Let’s take a look at the main options available to you and discuss the pros and cons. Off the bat, let’s assume that you are not going to take a distribution from the plan. This means taking the balance as cash and paying taxes on all or a portion of the money. Let’s also assume that you are not looking at special distribution options that arise from death, disability, or those available in some cases to workers who are at least 55. This leaves the three options for discussion: leaving your balance in your former employer’s plan; rolling the balance into the plan of a new employer (if you are moving to a new employer); or rolling over to an IRA account. I’ve written about this in a prior post 401(k) Options When Leaving Your Job. I wanted to revisit these options in the context of the GAO study. “The GAO report said 401(k) plan service providers encourage customers to roll over money into IRAs, but may offer little information about other options. “Multiple websites reviewed by the GAO also showed that fee disclosure was located in small print in footnotes, sometimes contradicting the main body of information. Essentially the study is critical of the apparent bias of a number of 401(k) providers to steer participants to an IRA account with their firm versus other options that might be available to them. This can be a good option for you if the plan offers a good variety of low cost, solid performing investment options. Often larger employers can use their buying power to drive administrative costs down and to offer very low cost, institutional quality index funds and actively managed options. If this is the case with your former plan, perhaps it makes sense to leave your balance in place. The flip side of this is that not all plans offer low cost, high quality investment options. If this is the case in your situation perhaps you are better off rolling the balance to an IRA account or to your new employer’s plan if applicable. Additionally, will you pay attention to this money or will you be like far too many people who leave an old 401(k) with an old employer and forget about it? Much the same thought process as deciding whether to leave your balance in your former employer’s plan. You need to look at the quality of the options offered in your new employer’s plan and also try to get a handle on the plan’s costs. If the new plan looks like a good option, then it might make sense to roll your balance over to your new company’s plan. This will eliminate the need to keep track of your balance with your old employer and might offer some additional advantages in terms of having a higher balance in the plan under certain circumstances. On the other hand, if your new employer offers a lousy 401(k) plan, why put any additional money there? Neither your former employer’s nor your new employer’s 401(k) plans are top-notch. 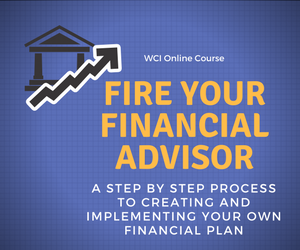 You are comfortable managing and choosing your own investment options or you are working with a financial advisor who does this for you. You are looking for a place to consolidate your retirement investments other than a current or new employer’s retirement plan account. Certainly you should look at the IRA custodian’s account fees, any fees to buy or sell investments, and the availability of investment options that are appropriate for your situation. Additionally you are free to roll your account to an IRA at the custodian of your choice you are under no obligation to roll your account to an IRA with the firm that provides your old company’s 401(k) no matter how much they may urge you to do so. In short the GAO study is a good one in that it highlights the need to ensure that 401(k) participants receive full and unbiased information as to their options upon leaving the company. This will put participants in a position to make the best decision for their situation. This is a great overview of what you can do with an old 401(k). I’m still at my first employer since graduating from college, so I haven’t had to transfer any 401(k)’s at this point. That being said, it’s inevitable that I’ll have to go through it at some point. Thanks for the advice! Jake thanks for your comment. You will certainly change jobs over the course of your career and it is vitally important that you keep track of your old retirement accounts and manage them. These accounts can really add up over time. Thank you for the helpful article. In rollover discussions, I very rarely see any mention of the additional ERISA protections that the employer sponsored 401(k) include and IRAs do not (That is my layman’s understanding.). These additional creditor protections seem to me an important risk management and mitigation benefit of the 401(k) vs. the IRA and for this reason I have chosen not to proceed with an IRA rollover. Not consolidating accounts, however, does create administrative hassle. What is your perspective on this? Thanks! William thanks for your comment. Your point is valid and this is something to be considered. My understanding is that the levels of protection for an IRA vary by state and you or other investors with concerns about the level of asset protection afforded by your state should consult an attorney who is knowledgeable in the rules pertaining to your state.